Celebrate Earth Day and support Bark! Owners get 10% off on the 10th of every month! provides fresh, affordable food to the diverse members of North and Northeast Portland. We carry over 1,000 products produced by local businesses and farmers, with a focus on organic and socially responsible sources. We work to build connections between our customers and their producers, so every time you shop at the co-op it’s a chance to re-invest in your local economy. The Alberta Co-op serves as a community resource and gathering place – we’re here for you 365 days a year! 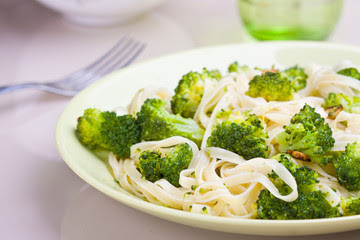 This pasta dish is loaded with broccoli and adorned with a creamy sauce that will fool other diners into thinking it’s made with dairy. Prep this comfort food real quick for a satisfying dinner! 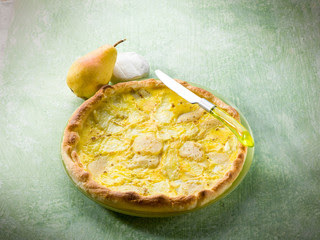 Slice up those abate fetel pears and treat yoself to a low-stress cake. Serve this sweet treat at a spring party or for Easter brunch! It’s time to apply for our 2019 Change for Change Program! If you know of or work for an organization that focuses on work around food security and nutrition, workers rights, environmental justice, and/or N/NE Portland community building/strengthening…request that it be considered for our register round-up program Change for Change.